tarter, dentists, preventive dentistry, in-home dental care and oral hygiene. START SAVING DENTAL DOLLARS NOW! 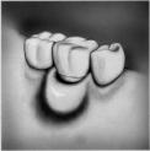 "I have learned more from your web site and (Dr. Nara's) books than in 30 years of going to the dentist. I am now disseminating this information to my children and also to my clients, as I'm a consultant for natural healing. The truth shall set us free. Thank you for consistently working on doing just that."